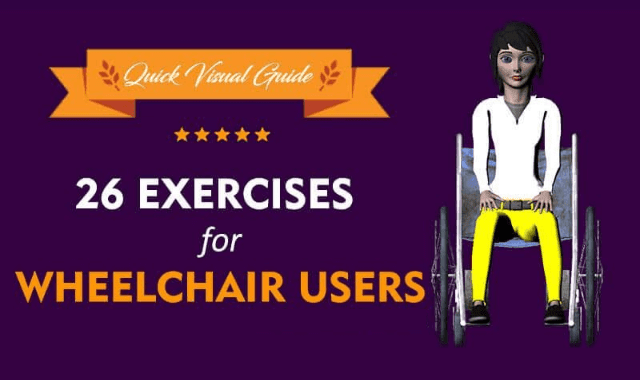 26 Exercises for Wheelchair Users #Infographic ~ Visualistan '+g+"
Being a wheelchair user does not imply you have to spend a dull and boring life. Don’t let your wheelchair limit your lifestyle as even if you are disabled or have limited mobility, you can still get an active lifestyle. Here BestRatedDocs.com presents a quick visual guide to some of the best exercises for individuals and seniors in wheelchairs to help live an active lifestyle.